Backwater Environmental represents a general contractor, design-build, permitting, and construction firm that specializes in environmental restoration. Primary areas of expertise include dams, rivers, wetlands, streams, and storm water BMPs. Backwater staff maintains over 100 years of combined experience in environmental mitigation, including $40 million in bonding capacity for large scale projects. The many years of experience translates to lower costs, increased project efficiency, and greater success as indicated by our many references. We have been involved in 200+ stormwater bmp projects over the past 22 years. Backwater maintains all required design, construction, planting, maintenance and monitoring equipment including a fleet of tracked dump trucks, rotating bucket excavators, low ground pressure equipment, spill containment, and 24-hour pumping systems in order to provide efficient and low cost construction support. 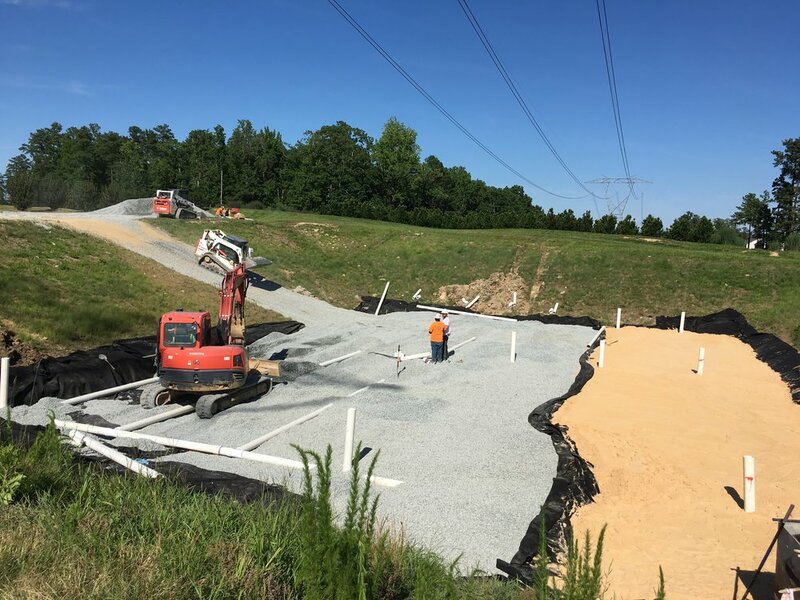 Backwater staff has been involved in design and construction services for stream and wetland restoration since 1992, including receipt of the first open ended contract for environmental mitigation and design services in North Carolina (NCDOT). Stream and wetland restoration utilize specialized construction methods such as natural channel meanders, the riffle/pool complex, and specialized structures that provide in-stream habitat, stability, and bank protection in new stream channels.